Google My Business, or ‘GMB for short, plays a major part in Local SEO and significantly impacts where you show up in the Map Pack rankings. Are you neglecting these four critical areas when it comes to your Google My Business Listing? Read this post by our Google My Business Expert now and find out. Note: This post was taken from recorded audio of our Google My Business Expert. So, in essence, this is a transcript of an audio clip that has been edited for clarity. A very useful transcript. Plus, we’ve added our own cheeky content of course. A lot of people have been focusing on Citations to improve their Google My Business (GMB) Listing in order to get to the top 3 positions of the Map Pack, also known as the Snack Pack or the 3-Pack. We at DigitalBullLeads.com get it. Citations are definitely important. They’re one of the factors we look at when we perform our Google My Business Audit. However, there’s a simple but effective strategy that is often missed when it comes to shooting for the Map Pack. “What is this magical and mystical strategy?”, you may ask. In a word: “content”. Look at the various Content options available in GMB. Just within your Google My Business Listing, there are several areas where you can add content that you probably didn’t think about at first glance. Let’s go through these focus areas one by one, shall we? 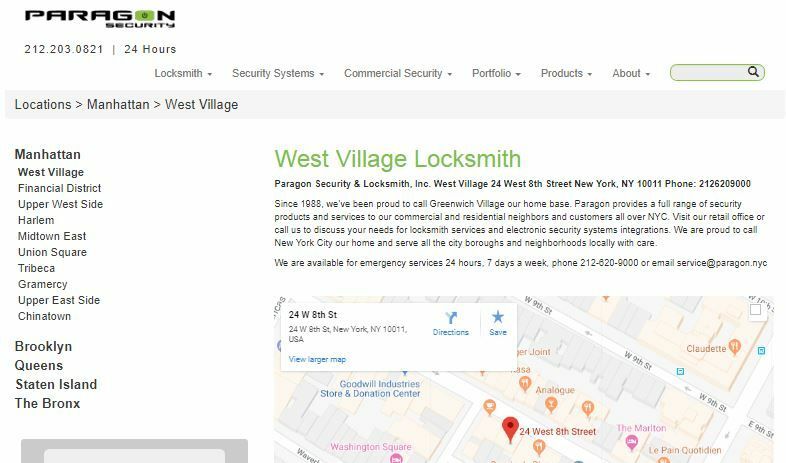 *We’re going to be using the Paragon Security Services, New York GMB Listing as examples. We are not affiliated with them in any manner. Trust us. First off, you have your Google Reviews. The comment section of a GMB Listing is critical and can help give you a slight edge over your competitors. It’s also much less toxic than a YouTube comment section (hopefully). When it comes to Google Reviews, you can have your customer write content or give you reviews while adding the relevant keywords within said reviews, for example, “locksmith New York”. This is much better than “They did a fantastic job!” or even worse, a three-star review with no text. You could write the review yourself, but then you’ll seem too much of a control freak. If you already have a lot of reviews with no keyword in them, don’t worry. You can always request your customer to edit their review with your keyword(s). Whether they decide to is another matter. Anyway, once this is done, you can reply to your customer’s reviews with the right content. Always reply to as many reviews as possible, regardless of whether they are five-star and praising you endlessly or one-star and damning you to hell for all eternity. Google sees your replies as you taking an active interest in your GMB Listing, and the customer doesn’t feel neglected either. It doesn’t hurt to reply to your Yelp or Foursquare reviews, but your Google Reviews should take priority. With reviews out of the way, let’s move on to the second of the four focus areas. Google My Business has an option called Q&A, which is short for ‘Quesadilla and Avocados’. Just kidding. It’s actually ‘Questions & Answers‘, or ‘Question & Answer‘. Request your customers to ask questions. Reply to questions that have been asked by somebody. Have a Local Google Guide ask questions. Ask questions yourself and then enter the answers. The last part especially allows you to convert your own FAQs into a Q&A session. Apart from encouraging your customers and general people to be inquisitive about your business, your Question and Answer section provides a good way to add content to your Listing. It keeps people informed while telling others about your business. Don’t leave this section blank like in the example image above. Be the first to ask a question! So, yeah. That’s a good way to get your FAQs out there, with the Q&A. Next up is the third focus area and possibly the most powerful weapon in your arsenal. You absolutely have to involve Google Posts. No excuses. Google My Business gives you 1500 characters of text to type in your post description. This gives you a lot of room to get creative with your content. There are a few things you can do here when it comes to your Google Posts. One, get out your posts with 250 to 300 words. Google allows a maximum of 1,500 characters per post, including spaces. It used to be 300 words. Now it’s 1,500 characters. We hope Google doesn’t change the word count limit again, though we really can’t do anything if they decide to. Your Google Post can be about anything, like a blog, your services, the areas you cover, celebrating National Spaghetti Day, etc. Before you ask, yes, that’s a real holiday. As we said, you can upload a post, which will remain viewable for a week. Make sure that you leverage Google Posts as much as possible. Take care to cover the entire spectrum of your services and add your keywords within the post. You can copy content from your own site for the post. Just spice it up a bit. Google won’t mind. Look at the above image for a sample of a typical Google Post that can be added to your Google My Business Listing. Don’t add this exact post, though, because that’s plagiarism. Big no-no. These posts last for a week, or seven (7) days. The math aficionados out there may have figured out that this comes out to an average of about 4 posts per month. However, you don’t need to restrict yourself to just four Google Posts. You can add much more, as long as they’re relevant. So, go out and reuse existing content to pump out posts! The more the merrier. Last but certainly not least, you can add Google Events and give your Google Offers. The advantage with Google Events and Offers is that they can last as long as the event or offer date. 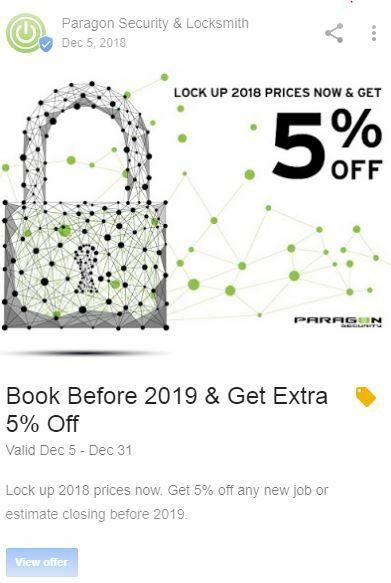 On the other hand, your Google Posts will expire after a week, as stated earlier. So, any event you create will stay up on your Listing until the end date. If you’re holding a contest or have an upcoming offer, even if it’s in a month, be sure to post in on your Google My Business Listing for everyone to see. Don’t be shy! As we said, this includes any event coming up such as a new store opening, new product launch, seminar, birthday, work anniversary, National Spaghetti Day celebration, etc. This will remain visible until the date comes to pass. Be sure to use the content on the Events and Offers section in a creative manner. You can really utilize it to your benefit when it comes to your Google My Business Listing. You can also inform customers of new deals or happenings at your company that they may have been unaware of. Those are four areas of focus related to content strategy for your Google My Business. The fifth area which is not part of the Google My Business Listing is the City Page. Bonus! This is an idea for new content for your website. What you can do here is take a list of the cities, boroughs, areas, and/or locations that you are active in. 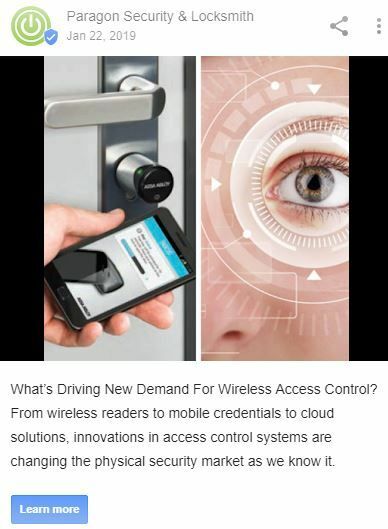 This could be a coverage area of up to a 30, 40, or even 50-mile radius depending on your business. You should have the ZIP codes mapped and then write a few paragraphs about these cities, towns, or areas. Then, embed your maps with information and Custom Map with directions to and from these cities to your store or service area. The idea is to increase your sphere of influence. Another piece of content you need to focus on is the attributes on the photos and the maps. You can add relevant information regarding these as well. Or, get quality local city landing pages designed by a team like DigitalBullLeads. That’s the entire thing. At a high level, that’s about it with regards to the content strategy of your Google My Business Listing. Those were the 4 (+1) area to focus on with the intent of enhancing your local presence. Whether you are a small business, service area business (SAB), or a Digital Marketing/SEO agency, our team hopes you are able to leverage this. 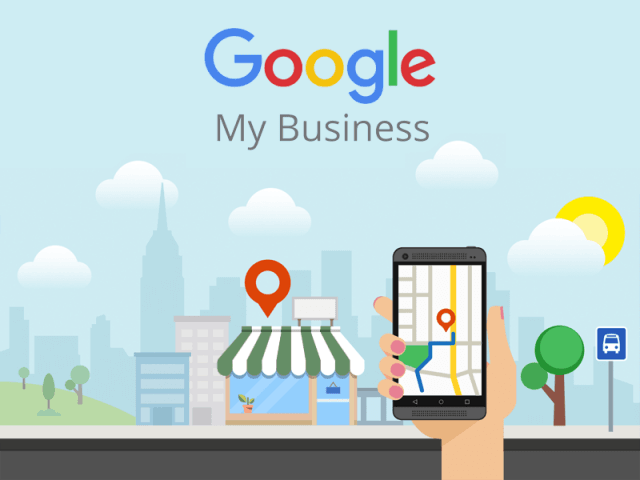 Optimize your Google My Business Listing and increase your revenue! DigitalBullLeads.com is a Digital Marketing Agency that is almost exclusively focused on offering GMB and Local SEO services for small businesses and service area businesses. We offer white-label services as well. Contact us if you or one of your clients is a plumber, locksmith, attorney, veterinarian, dentist, carpet cleaner, or other local business. We also have our own platform, DigitalBull GO, to completely manage your GMB Listing, Maps, and Website. DigitalBull GO can be utilized to analyze what’s wrong, optimize your digital assets, and rank on the Map Pack and SERP. Maintain your posts, events, offers, landing pages, and more with DigitalBull GO. If you want to learn more on Local SEO and Google My Business, you can schedule a free 30-minute consultation with our GMB Expert by clicking the button below. Thanks for reading! Focus On Your Google My Business & Get More Calls!